View this webinar to learn how Virtustream Healthcare Cloud enables providers to run their Electronic Health Record (EHR) systems in a scalable cloud purpose-built for mission-critical applications that adheres to essential government and industry certifications and attestations including HIPAA/HITECH, CISPE, and ASD/IRAP. During the webinar, we discussed the findings of “Multi-cloud Arises from Changing Cloud Priorities,” a commissioned study conducted by Forrester Consulting on behalf of Virtustream, featuring topics such as multi-cloud deployment and migrating mission-critical applications to the public cloud. The webinar recording is here for future viewing. Please feel free to share it with your colleagues. Running large and resource intensive workloads in the cloud is hard. Running mission-critical applications in the cloud is even harder. View this webinar replay to learn how extensive experience and preparation when migrating SAP HANA® to a cloud environment can alleviate risk and limit disruption to the business. In this session, Henrik Wagner addresses how to drive process improvements, efficiency gains, competitiveness, and profits with SAP HANA deployed in clouds. Learn about the considerations and requirements for migrating SAP HANA to cloud. 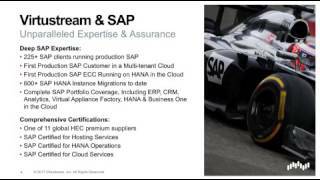 Hear about how SAP HANA in the cloud can increase enterprises’ analytic and BI capabilities. Understand the considerations for choosing the right service provider to infuse cloud services with unprecedented reach, flexibility, and efficiency. Virtustream chief information security officer, Matt McCormack, explains how Virtustream is ready to assist organizations with high risk GDPR obligations in the areas of data security and incident management and the accountability principle. As a provider of cloud technology and services purpose-built for the complex needs of global IT, Virtustream knows that protecting sensitive data, both corporate and personal, is critical. The digital future can only be built on trust. Virtustream can help organizations build that trust with their customers. 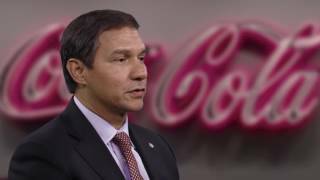 Javier Polit, Group CIO for Bottling Investments Group and Coca Cola North America, discusses Virtustream and how the partnership has helped to improve business agility, customer satisfaction, insights and analytics capabilities, while reducing costs and maintaining stringent security and reliability requirements. Don Whittington, CIO of Florida Crystals, discusses how Virtustream helps the world’s largest sugar refiner change the way it provisions its services and resources. John Hill, CIO of Veyance Technologies (now Continental), explains how his company improved performance and saved 20% over on-site IT with SAP as a Service from Virtustream. After moving its data center to the cloud, sugar refiner Florida Crystals gained a competitive edge with increased performance, reduced infrastructure costs, and scalable multi-generation software, while strengthening its compliance transparency. See how Virtustream’s µVM technology allows for enterprise-class optimization, economics, and assurance.